Make your gift extra unique by putting it in a balloon! Get creative & bring your own items to stuff! as long as it can fit inside a 5'' diameter. we currently have in stock! 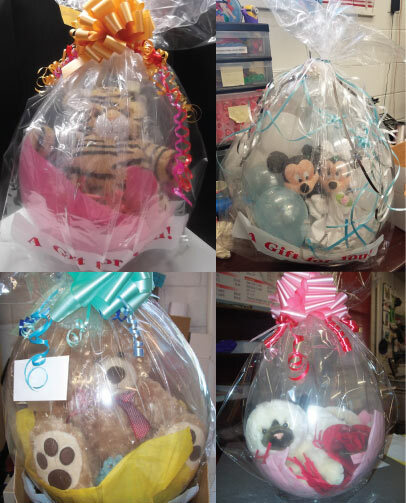 Above pricing includes: 16'' balloon, shredded paper stuffing, cellophane bag and bow. but may require an additional fee.